For Over 50 years, Jamestown Awning has provided Chautauqua and its surrounding counties with custom-made awnings for commercial and residential use, as well as party tent rentals. In 2012, the business expanded and began renting tables, chairs, dance floors and other tent accessories. Rentals include delivery, set up & take down services. From weddings, to fairs, to backyard barbeques, Jamestown Awning has “Got You Covered!” Our company has the largest inventory of tents in all of Chautauqua County. Below is an article from the Post Journal that appeared in June of 2014. It recognized the 50 Year Anniversary of the locally owned company. 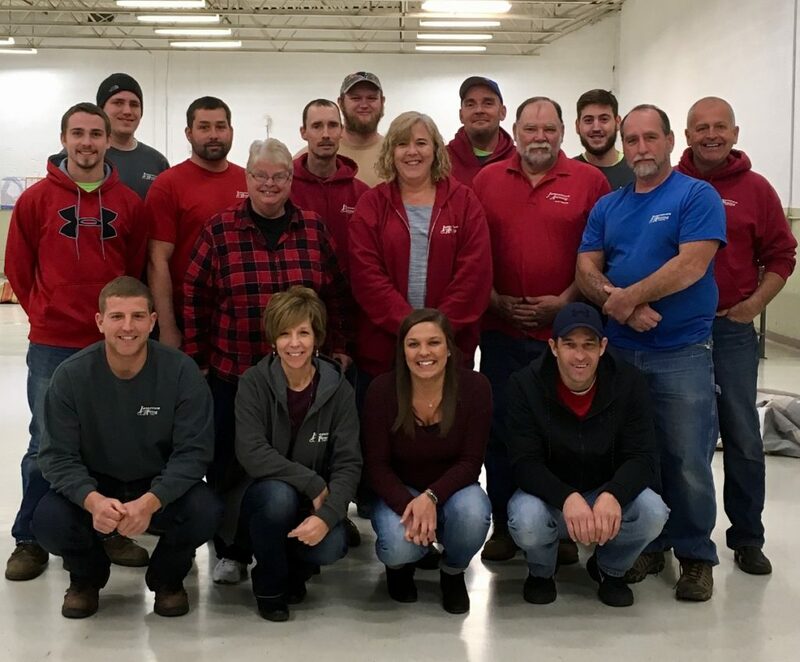 “Beginning in 1964, the Wallen family started Jamestown Awning at 289 Steele St. in Jamestown. The Wallens, nearing retirement, sold the business to Mark and Michelle Saxton. “It always intrigued me when I saw things like awnings and tents and trying to determine how they were made.” Mark said. 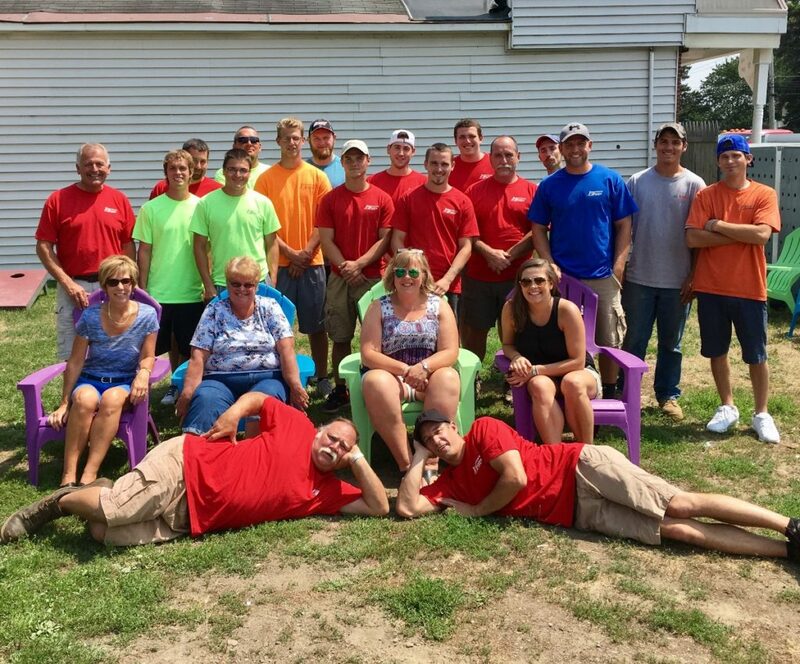 Despite having no background in the awning business prior to buying Jamestown Awning, Mark said the skillful employees made the transition very easy. His own background in the grocery industry made the intricate parts of the business easy to pick up on. Michelle’s background helped with sales, marketing and customer service. “We basically refreshed things and did a lot of little things to help bring us into the 2000s,” Mark said. Both Mark and Michelle stressed the Wallens provided a solid foundation which they have been able to build on to. Jamestown Awning offers a variety of services and does a lot of commercial and residential applications. They also do industrial applications for factories and interior-type divider curtains. “We also offer aluminum awnings and patio products,” Mark said. Since the majority of our products are custom made, we will meet you at your home or business to discuss your needs and give you a quote free of charge within our operating area. Michelle said the tents can support anywhere between 50 to 400 people as tents go anywhere from a 20 by 20 feet to 40 by 180 feet. She said the shift in the tent business is beginning to drift away from fairs and festivals and become more prominent in weddings and higher end events. Jamestown Awning not only services Chautauqua County, but Warren and Cattaraugus counties; anywhere within a 100 mile radius of its hub on 289 Steele St. in Jamestown. Since the article, Jamestown Awning has relocated to 313 Steele Street in Jamestown. We are open between 8:00 a.m. and 4:30 p.m. Monday through Friday. Call for your own appointment today!